If you’re looking to get a new tattoo, you want it to be the best. You only have so much, canvas space on your body, right? So you can’t waste surface area with a tattoo that’s subpar. 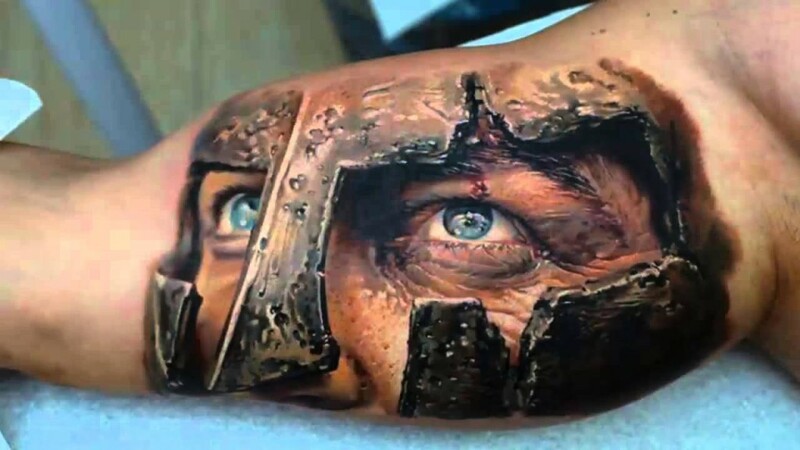 That’s why we’re highlighting 74 of the best tattoos we’ve seen. These should give you some ideas of what to take to your artist. You can look at tattoos in a few different ways. First, what are you trying to accomplish. Second, who are they for? Third, what’s your style? Do you want your tattoos to simply display great artwork for visual pleasure or do you want them to mean something? If you want them to mean something, how far down into your personality do you want to go? Do you want to show your interests or your beliefs, a joke or a life motto? The answers to those questions will determine whether you’re looking for a design or a specific image. A lot of guys are going for floral, geometric, or tribal designs just for the artistry. They add some flair to your skin. Other men choose images of religious figures, verses of Scriptures, or popular quotes to remind themselves and others what they believe in. Others feature tattoos of tigers, warriors, and dragons to show their strength. Still others get tattoos of skulls, an hourglass, or death faces to say, “I know it’s coming and I’m not afraid.” Finally, many men get tattoos of their favorite superheroes, movie characters, video games, or sports team logos as a sign of where their interests lie. This question speaks to placement as well as theme. If you want other people to see and admire your artwork, you’ll to place it on your arms or other visible location. If you’d rather keep it private, the chest is the area you’ll see most while not exposing it to others. If you do want to show it off, your design should be clear and easy to see. You don’t people staring awkwardly at your body while they try to figure out what your tattoo is. Keep text short and easy to read. Any images should be large enough to see the details. 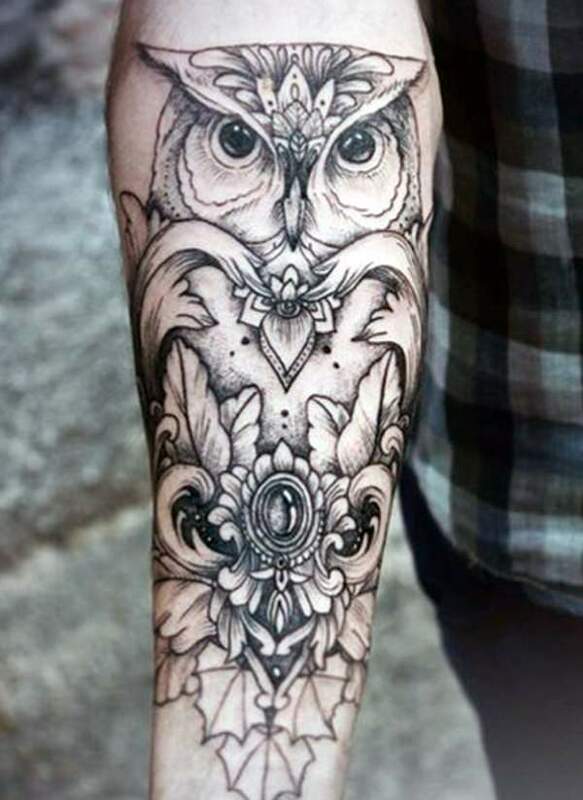 Use color to enhance the clarity and beauty of your tat. 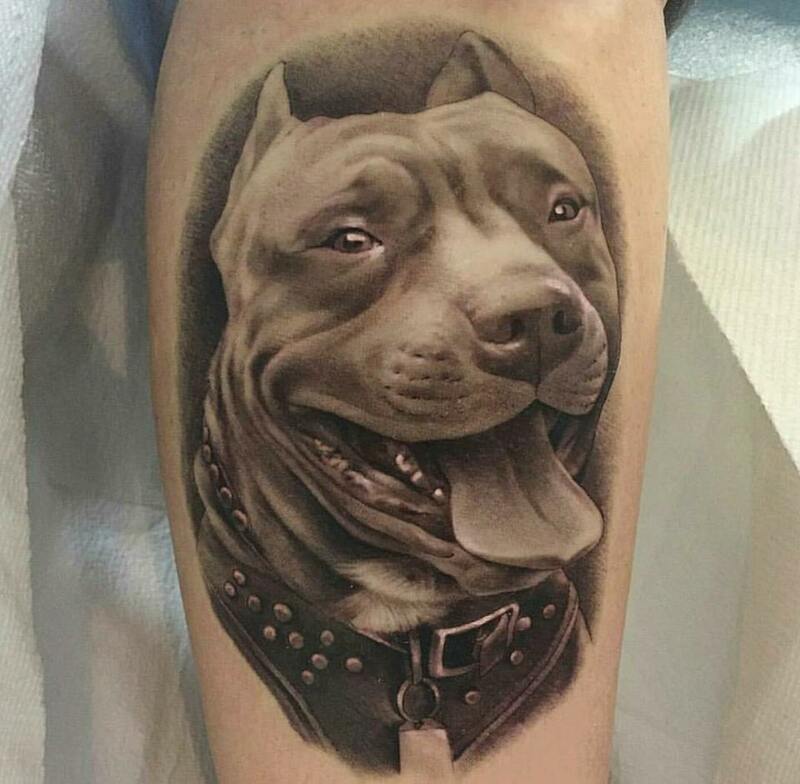 Do you want your tattoo image to be cartoony or realistic? Sketched or finished? Shaded or colored? Abstract or lifelike? Whatever you choose, try to be consistent with any other tattoos you get. 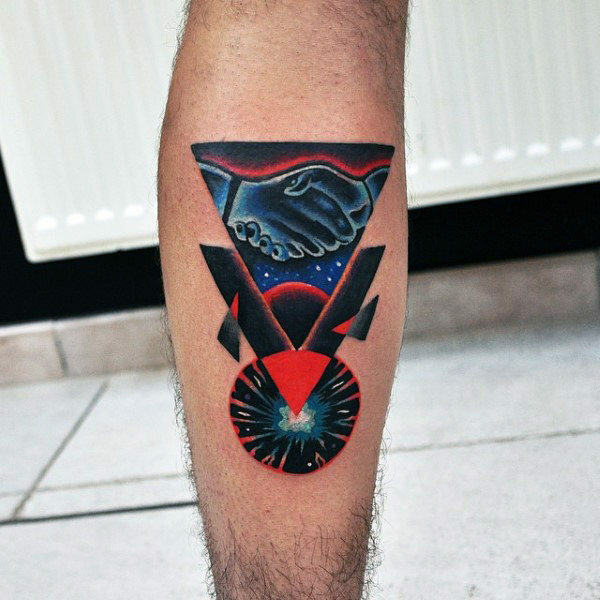 Even a collection of tattoos all based on different interests can make a fabulous collage when unified by a single or complementary art styles.